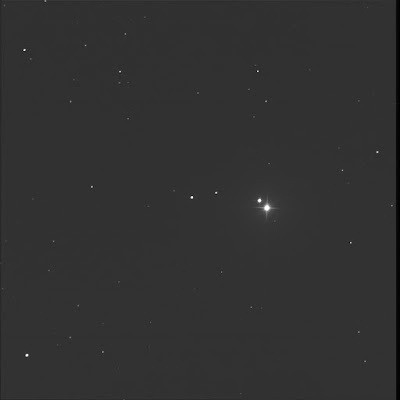 A couple of nights ago I asked the SMU BGO robot to image lambda Aries on my behalf (centred on TYC 1757 00621 1). 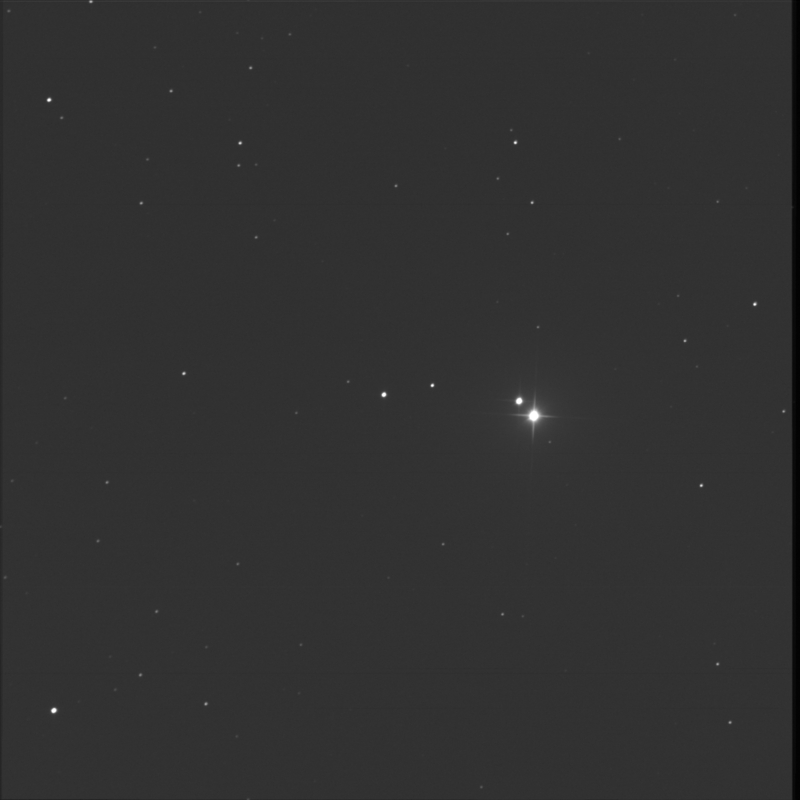 A double star system. The luminance frame is slightly trailed but it's OK for my purposes. Luminance only, 4 seconds subexposures, 5 stacked shots. FITS Liberator, Paint.NET. North is up; left is east. This too was on my View Again list to verify colours, the B star in particular. I look forward to what will be revealed in a fully processed colour image. First viewed 30 October 2008.